I’ve never really had much of a sweet tooth but this month in Hong Kong has seen me going out of my way to indulge in a post-meal snack far too often. In search for amazing dessert, my relatives took me to a famous dessert place in Yuen Long called Kei Kee B Jai Leung Fun (佳記甜品B仔涼粉). Kei Kee is a dessert shop that specialises in herbal grass jelly but serves up an array of other hot snacks as well. On a Sunday afternoon, the place was absolutely packed and being a nice day there were plenty of tables and chairs outside. The crowds are so dense that no sooner does a table empties, it is occupied again within seconds. 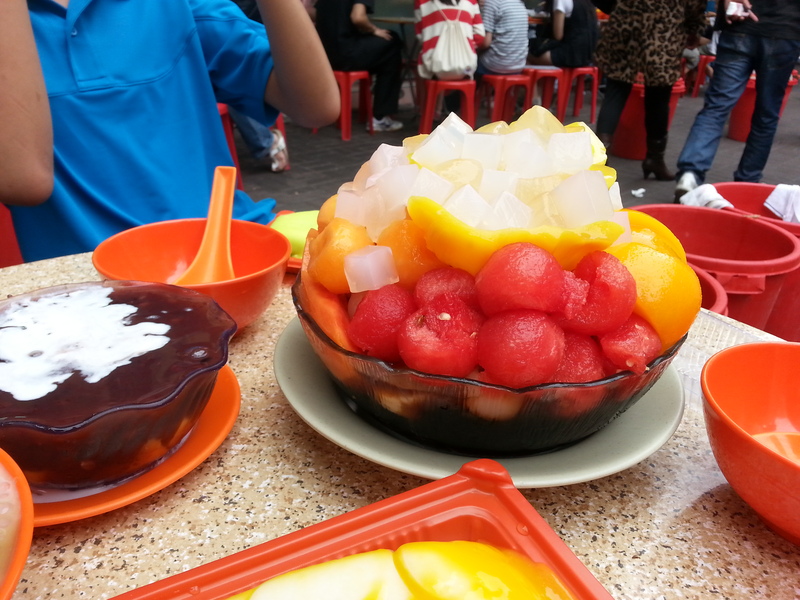 Desserts range from $35-68 the most expensive being the B Jai Grass jelly fruit bowl which can easily be shared amongst 3. Being the overindulges we are, we ordered 4 desserts between the four of us. 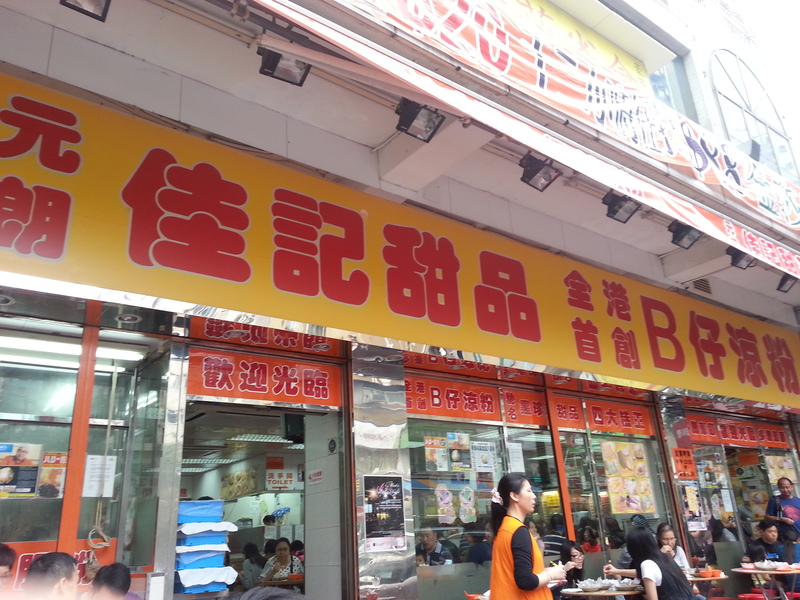 The B Jai Leung Fun is the restaurants signature dish, which it could probably attain based on quantity alone. The bowl is a mix of grass jelly, topped with fruit, nato de coco, aloe vera jelly and a huge array of different fresh fruits. Yummy not too strong grass jelly and lots of refreshing fruit. 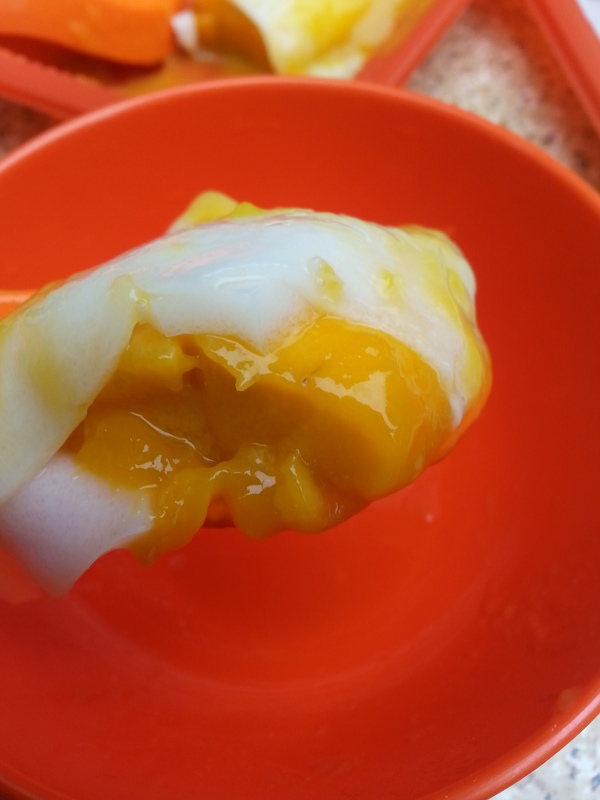 The mango ‘cheung fun’ was something kind of epic. Sweet coconut rice rolls encased huge chunks of fresh mango, all covered in even more mango juice. Delicious and by far the best dessert on the table. 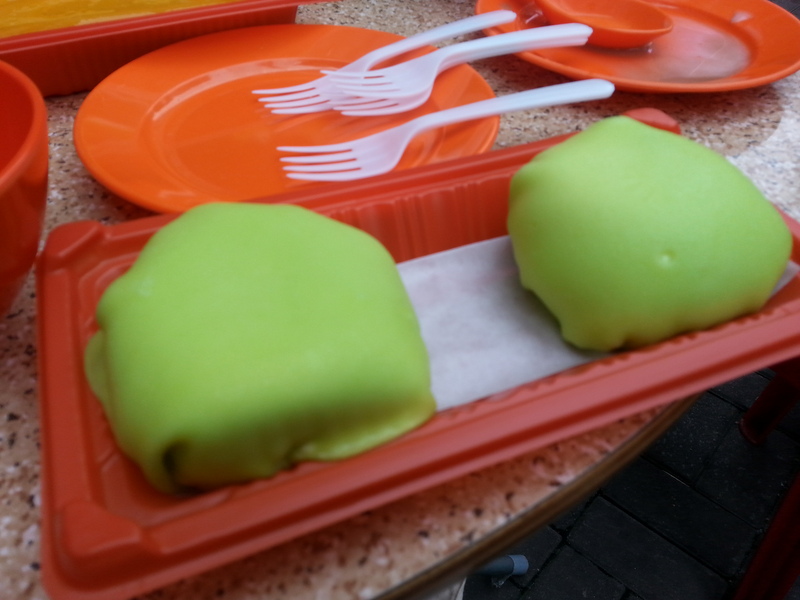 Durian pancakes had enough durian flavour but there was just a bit too much cream inside for me to like this. In saying this I’m not a huge fan of mango or durian pancakes normally so I’m not the best person to judge this. 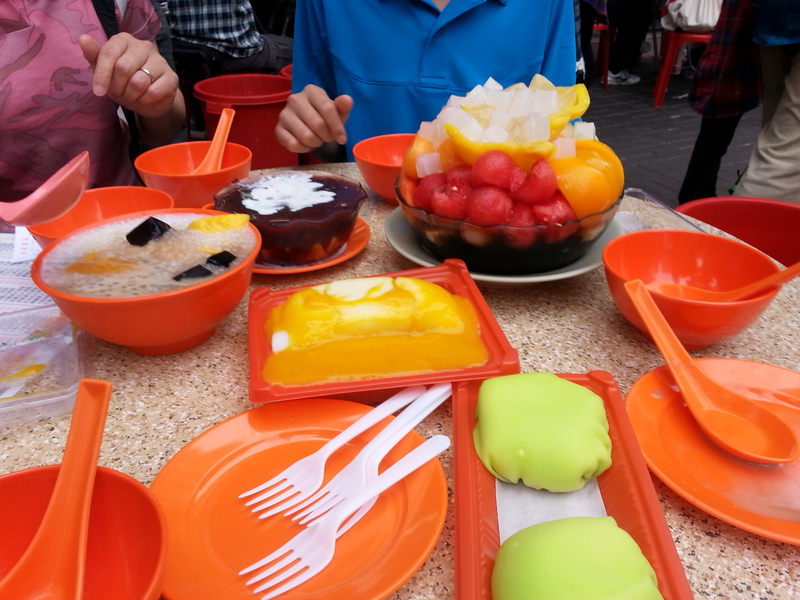 We also ordered a mango sago coconut milk dessert with added grass jelly. The sago was perfectly soft yet with a slight bite, and the coconut base was perfect – not too sweet nor savoury. 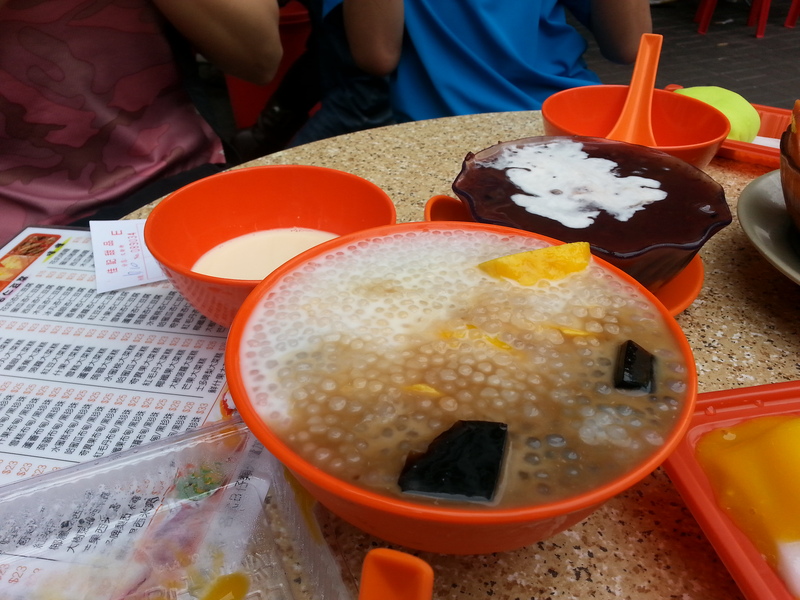 Possibly the best sago dessert I’ve had since being in HK. And that’s a lot of sago I assure you! Afternoon tea turned into an early dinner and we decided to order a few savoury snacks (post our dessert mind you!). Fishball cheung fun rice rolls were deliciously fresh and served alongside a peanut and hoisin sauce. We also ordered braised soy garlic chicken wings which were juicy and tasty. Yuen Long is a bit of a trek, after all you can see the skyline of Shenzhen on entering the city, but well worth the trek for if just for a taste of old school Hong Kong. This entry was posted in London Restaurants. Bookmark the permalink.